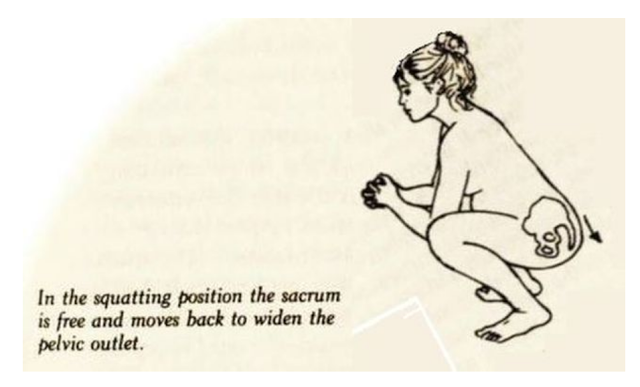 Hey ladies -- isn't that a wonderful birth position for the convenience of the voyeurs? Look how many strangers are in that room. May as well invite in the janitor too and make it a party. But seriously, what people need to understand is that the real reason doctors force women into this sick lithotomy position that narrows the pelvis, cuts off the baby's oxygen supply, and forces the baby to birth itself against gravity, is because EVERYTHING the medical system does is designed to purposefully traumatize the child and cause pain for both mother and child and thereby undermine bonding and ensure birth trauma. It's methodical. No accident. The people who create these insane protocols know exactly what they're doing and they do it all for diabolical reasons. 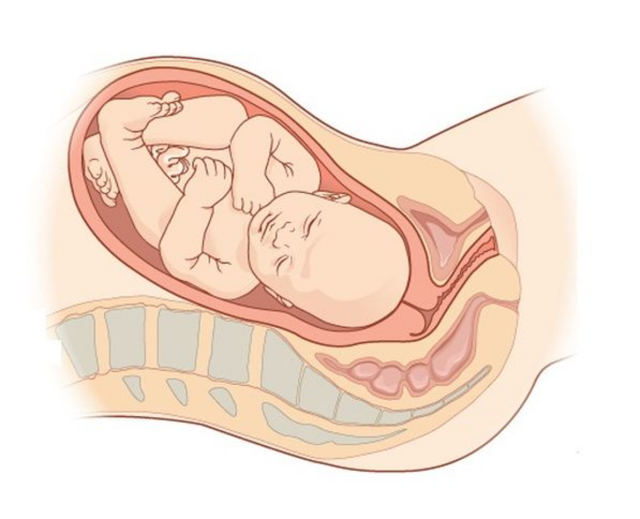 Women who are forced to birth in this position have an increased chance of ending up with a c-section and/or having their babies pulled out with forceps or sucked out with a vacuum. 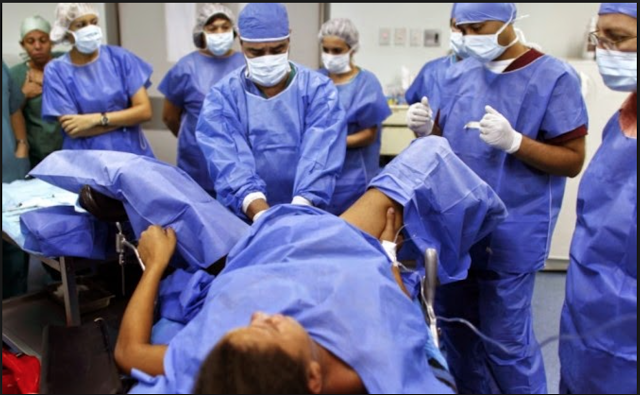 Of course, the scissor-happy, knife wielding surgeons are more than happy to cut open women's bodies, rip babies from their mother's womb, and even cut off infant body parts, just to name a few (see my many posts on circumcision in this blog). Naturally, there are shekels to be made and most medical "professionals" would be hard pressed to give up such great opportunitie$ to make money. For the record, ALL medical interventions during the birth process cause trauma. That includes immediate cord clamping which cuts off baby's oxygen supply, deprives baby of 1/3 of his/her blood, deprives baby of vital nutrients and stem cells, and ruthlessly cuts baby off from his/her placenta. Cord clamping is extremely violent and involves theft of the infant's cord blood and placenta, which are sold to the highest bidder for more shekels. Often the highest bidders are satanists that get off on the consumption of infant blood and body parts. Hospitals are Luciferian temples of the occult. Protect yourself and your children. Avoid these places like the plague. "...OBs are routinely closing birth canals up to 30%. 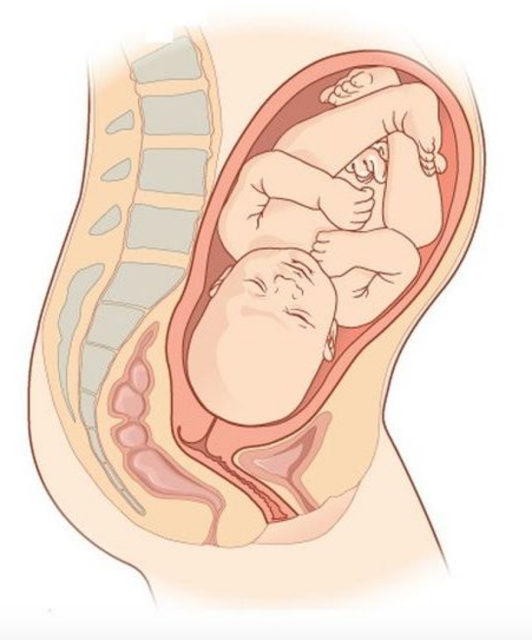 It’s easy to allow your birth canal to OPEN the “extra” up to 30% – just roll onto your side as you push your baby out – BUT BEWARE – see “Just Beware” at the end of this post. diamaters DON’T CHANGE at delivery. panicked rush to the resuscitation table. The current epidemic of immediate cord clamping coincides with an epidemic of autism. let alone lying to cover-up. Attorney generals have no business ignoring the grisly mass child abuse.